Why is macular degeneration prevention important? Age-related macular degeneration or AMD is a disease that affects the macula and your central vision, and according to Prevent Blindness America, macular degeneration is the leading cause of legal blindness in Americans aged 65 and older. In fact, AMD isn't just a problem in America - it is the number one cause of blindness in first world countries. In AMD, the central vision is affected (example on your left). You may notice problems with reading, recognizing faces and driving. You may also notice distortion of straight lines and smudges in your central vision. The visual impairment may or may not be reversed, depending on the type and severity of damage. This means that AMD can cause blindness if not detected and treated early enough. And this is why macular degeneration prevention is so vital. Are there any macular degeneration prevention steps that can be taken to protect your eyes? Yes there are. After all, no one wants to lose vision from AMD if it can be prevented. There are certain risk factors for AMD that you can't change, such as age, family history and genes. However, there are other risk factors that can be modified. By adopting lifestyle measures that eliminate the modifiable risk factors for AMD, you reduce your chance of getting AMD. In other words, protection and prevention from macular degeneration. And this can be achieved with these 5 golden rules. Smoking is a significant risk factor for many eye and general health problems. Eye conditions that can worsen with cigarette smoking include cataract, glaucoma and thyroid eye disease. Cigarette smoke contains many harmful chemicals, such as tobacco-specific N-nitrosamines (TSNAs), benzene, pesticides, arsenic, cadmium, cyanide, and many many more. These toxins circulate all around the body and cause oxidative damage to the macula and other parts of the eye. It is no wonder that smoking is considered one of the major risk factors for AMD. Research has found that smoking more than doubles the risk of AMD. If you smoke more than a pack of cigarettes daily, you are twice as likely to develop AMD compared to non-smokers. So do yourself a favour and stop smoking! If you are unable to stop, then at least cut down on the number of cigarettes you smoke so that you can reduce the amount of poison in your eyes and body. This is one of the most important macular degeneration prevention steps that you can make. Exposure to high levels of sunlight and ultraviolet light may increase the risk of developing age-related macular degeneration. 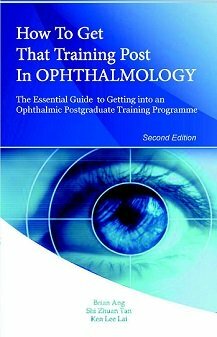 Prevention of ultraviolet light damage to the macula through direct thermal damage and through free radical oxidation may therefore reduce the risk of AMD. This can be achieved by wearing sunglasses and a hat when exposed to sunlight for a significant amount of time. 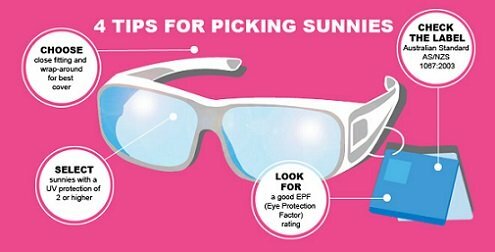 Look for sunglasses that provide 100% ultraviolet light protection. Polarizing, tinted and reflective glasses are not likely to be able to provide sufficient protection. Not only is exercise good for your general health, it is also good for overall eye health, and macular degeneration prevention in particular! Research has shown that exercise (at least 3 times a week) and an active lifestyle reduced the risk of developing wet AMD by at least 70%. Regular cardiovascular exercise is able to reduce inflammation and irregularities in the blood vessel walls associated with choroidal neovascularization in wet AMD. Even simple exercise, such as walking, helps. If you walk more than 12 blocks regularly, your risk of developing AMD decreases by up to 30%. On the other hand, if you have high blood pressure that is not under control, then you are 3 times more likely to develop AMD than someone without high blood pressure. The AREDS (Age-Related Eye Diseases Study) is a major clinical trial sponsored by the National Eye Institute of the United States. The AREDS reported that very high levels of antioxidant and zinc consumption may reduce the risk of developing AMD by up to 25%. The AREDS 2 study, looking at the antioxidant effect of ocular pigments (lutein and zeaxanthin) and omega 3 long-chain polyunsaturated fatty acids (docosahexaenoic acid and eicosapentaenoic acid) and their roles in macular degeneration prevention, has now completed. The study found that for macular degeneration prevention, lutein and zeaxanthin had a protective effect, but omega 3 fatty acides did not. Consult your ophthalmologist first if you plan on taking any supplements for AMD. If you take foods rich in antioxidants and ocular pigment, you will have a 43% lower risk of developing AMD than those who do not take such foods. Research has also found that daily consumption of at least 3 servings of fruit reduces the risk of AMD by 36%. Nuts may reduce the risk of AMD progression by 40% if at least one serving is eaten per day. So try to get as many antioxidants as possible into your daily diet, such as vitamin A (carrots, apricots, papayas), vitamin C (berries, citrus fruits, tomatoes), vitamin E (avocados, green leafy vegetables, fish), zinc (whole bran, eggs, peanuts), lutein (kale, spinach, broccoli) and zeaxanthin (brussels sprouts, cucumbers, green olives). Also be careful about the fatty acids that you consume. Omega-3 fatty acids, commonly found in whole grains and cold water fish, help to improve blood flow and transport of oxygen and nutrients to the eyes, even if the AREDS 2 study did not find any significant macular degeneration prevention effects. However, please note that AMD risk is increased with omega-6 fatty acids, which is found in some vegetable oils. Finally, regular eye exams are also an important part of the macular degeneration prevention strategy. During an eye examination, your eye health will be assessed. 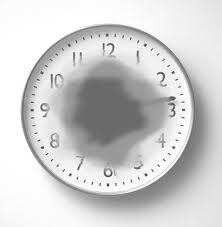 In particular, you will be checked for early signs of macular degeneration. If you are over 65, arrange for a complete eye examiination at least once a year. Do this even if you feel you have no trouble with your eyesight. You may want to undergo more frequent eye checkups if you feel you are at higher risk of AMD, such as a positive family history. 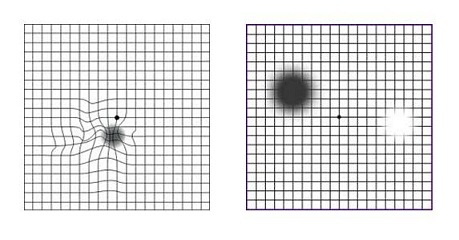 Vision testing with the Amsler grid: examples of distortion and smudges that may occur with age-related macular degeneration. You can also monitor your vision yourself for the symptoms of AMD with the Amsler grid. Features that are typical for AMD include smudges, blurry patches and distortion of straight lines. If you detect any problems with your vision during Amsler grid testing, consult your ophthalmologist as soon as possible. The sooner treatment for AMD is started, the better the outcomes will be.